Worse, the approach in which we’re addressing the problem is significantly flawed. This flawed approach is the byproduct of two larger trends in urban planning that I’ve seen on Long Island: shoehorning urban solutions onto suburban problems and allowing stakeholders to dominate the discussion of the issues. In general, I support any initiative that seeks to discuss and address Long Island’s regional issues, and think it’s an important effort. It is critical that the topics of housing, our economy and reversing suburban decline are discussed with the general public. I enjoy attending the events and participating in the discussion. Yet, time and time again, it’s been the same trend – stakeholders, be it developers, environmentalists or so on, all of which have “a dog in the fight” or something to lose or gain, dominate the conversation regarding our regional issues and push to benefit their own agendas. 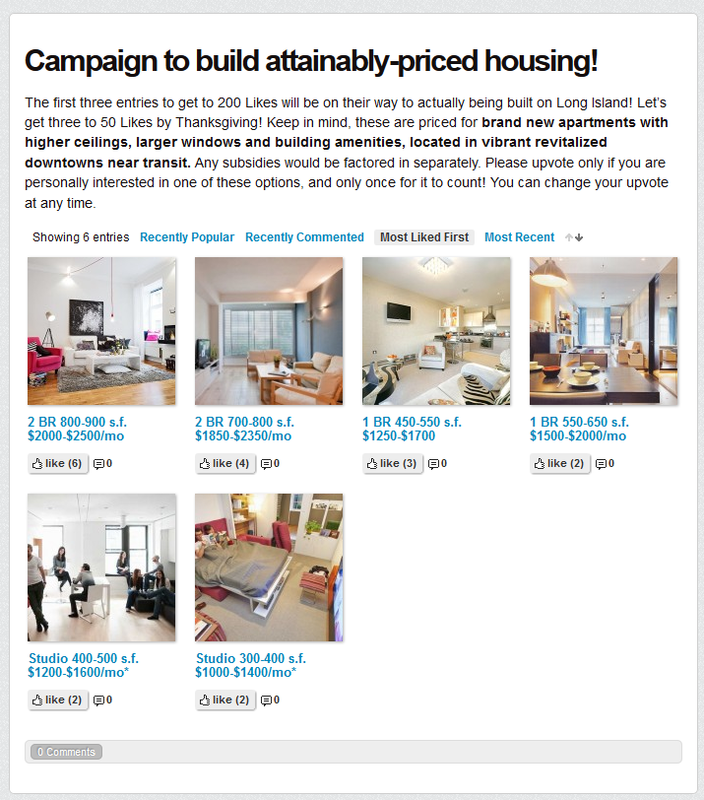 The group I mentioned earlier has recently a launched a focused campaign to build attainably priced housing. The crux of their proposed solution is the creation of micro-unit apartments across Long Island’s downtown areas. These hypothetical micro-units range in size from 300- to 400-square-foot (roughly three times the size of the average prison cell) unit studios, up to two-bedroom units in the 800- to 900-square-foot range. The theory is that the smaller units, located in a transit-oriented development in the heart of a downtown area, will lead to a more efficient lifestyle. This efficiency will promote sustainable living that is the opposite of suburban waste, reduce energy consumption (because the units are so small) and so on. This is all well and good, but when it comes to dollars and cents, the plan makes no sense. The hypothetical units, as proposed during a design forum, could rent for between $1,000 and $1,400 for 300- to 400-square foot units up to $2,000 to $2,500 for the 800- to 900-square-foot variants. These rents do not include utilities or cable/internet. To be fair though, the projected rents do not reflect any government subsidies either. Regardless, in what world is this considered “affordable?” Um… I mean… workforce. Or is it ”attainable” housing these days? Granted, these are hypothetical units, but the fact these were presented as a viable option to get excited about in an absolutely serious manner with a straight face, is insulting. This is what we get for allowing developers, not planners, economists and others detached from the process, to take the lead when it comes to addressing our regional housing issues. When developers helm the discussion we get proposals such as these. A mentor of mine raised a good point when we were discussing the issue. Can the real estate industry play a constructive role in the discussion of housing issues on Long Island? Can the goals of the real estate industry (make as much profit in as short a time frame as possible) harmonize with the goal of planners (to keep land use in balance with the socio-economic needs of residents and the environment)? Often, no; the goals of private industry conflict with the planning ideals. One could say, “Well, Mr. Know-it-all, Long Island’s young professionals need different options or they’ll leave. There is a brain drain you know.” The only brain drain I’ve seen is our approach to housing policy. If we are losing the young, why not focus on job creation that goes beyond low-wage retail. Stop advocating for mixed-use with integrated retail and create wealth and opportunity that will allow Long Island’s younger generations to stay, be single and eventually start a family. With each Target superstore built, we lose the opportunity to create a strong manufacturing, green or tech base. Land on an island is finite. We must ask ourselves, are we maximizing our open space? Are we creating a business climate that will appeal to startups and entrepreneurs? What can be done to lower costs, drive up business and allow for a multitude of housing options? Drop the buzzwords, drop the flowery language such as “attainable” or “workforce” and let’s actually start to tackle our problem. Here is a newsflash: A thousand bucks for a 300-square-foot closet will not fly with millennials raised in homes with bedrooms larger than that. 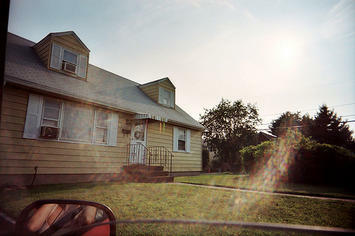 Long Island’s young people are getting priced out of a restricted, stagnant housing market with high costs of living, high property taxes and a distinct lack of affordable housing. They can’t afford nicer living because our job opportunities stink, but don’t insult young islanders with shoe boxes priced astronomically high. If we wanted to live in a tight space, Manhattan is a train ride away. We Long Islanders have driven ourselves into a ditch and expect to build our way out of it. Well, you can’t build your way out of a recession. Maybe it’s time to enact a “fair-share” housing policy that requires each and every municipality on Long Island to create a quota of truly affordable development. Perhaps it’s time to stare our property tax problem in the eye, buck up and start looking into consolidation. Problems aren’t solved by tip-toeing around the issues and giving us gilded solutions that sit on a shelf and gather dust. The public, especially Long Island’s millennials, deserve better. Why is suburban growth stagnant? It’s because of the stakeholders and their stagnant solutions. This piece originally appeared on LIBN's Young Island. Richard Murdocco is a digital marketing analyst for Teachers Federal Credit Union, although the views expressed in this post are Murdocco’s alone and not shared by TFCU. Follow him on Twitter @TheFoggiestIdea, visit thefoggiestidea.org or email him atrich.murdocco@gmail.com.